Jeremy Scott has toned things down with his latest design by releasing a sleek new coat this Holiday season. 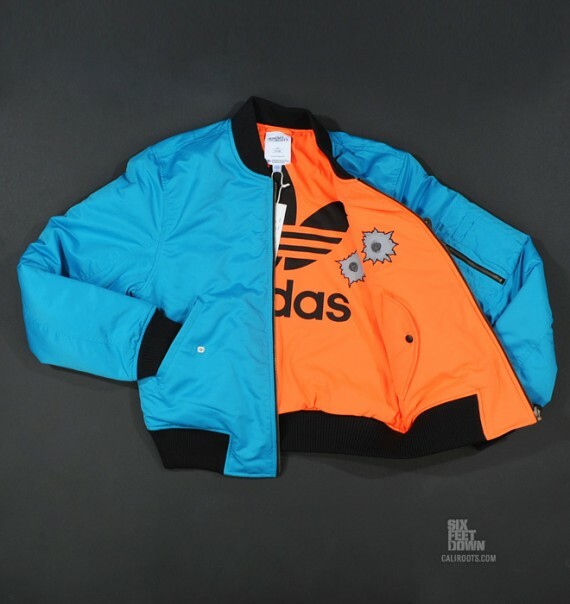 This Bullet Reversible Bomber Jacket comes in vibrant blue/orange colouring with faux bullet hole graphics. Breaking away from his controversial shoes brings an iconic set of threads for anyone looking to show a colourful style while still staying warm this winter. Available online at Caliroots for $356 USD.